Mega ID "Everyones Personal Data Vault"
We all know that our data is not as secure as we think when we give it to corporations. The news is constantly full of data breaches, hacks, and the ways companies are using our data without our knowledge. The only way to prevent this loss of our personal identity data in the future is for consumers to take control of their information. Mega ID is putting the power of information in the hands of people not corporations by empowering consumers to become their own data brokers, deciding who has their information, for how long and for how much? Decentralizing your data is the opposite of what companies have been trying to do for the past 30 years but at Mega that is exactly what we are doing for you and your privacy. Data privacy is increasingly in the news and at the forefront of the minds of business executives, regulators and consumers. 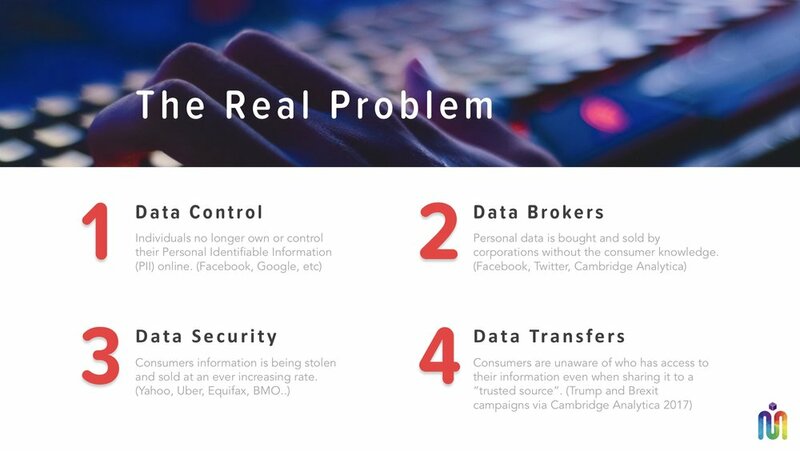 Industry has shown that is unable to guarantee the protection of consumers data and cannot always be trusted to be ethical in it’s use of personal data it collects )eg Facebook & Cambridge Analytica). Governments around the world are finally taking action to protect consumers, led by the EU’s Global Data Privacy Regulations (GDPR) to enforce strict regulations and fines on personal data usage. Mega ID allows consumers to take control of their personal data quickly and easily and allows companies to comply with regulations such as GDPR. Mega ID is the first personal data privacy application designed from the ground up to totally protect your data and put you in control of who sees your data, why and for how long. Mega ID is build on a proprietary blockchain platform that ensures no one (including us) can access your personal data without your permission. Mega gives you a personal vault to store all of your data so that you can manage it, control access and share it easily when you want to. The Mega ID mobile app will let you to store all of the data that makes you, you in one very secure place “your vault”. You can use the data you store in your vault to log on to websites without exposing all of personal data, or apply easily register for services that would typically require lots of data entry to make applications quick, easy and secure. We also hope you also know how much your data is worth to companies all around the world. Rather than companies making money buying and selling your information we will allow you to share your data with only companies you trust in return for cash or rewards. Why should everyone else except you make money from your valuable data? the more data you have in your vault the more you can earn. We believe in consumers not companies making money from their information. Mega ID provides Secure Sign On solutions to online business that ensures they comply with privacy regulations in Europe, the US and Canada. Most businesses do not understand their responsibilities and business liability in relation to collecting and storing consumer data. Regulations such as the EU’s GDPR now have non compliance fines of up to 4% of a companies global revenue for companies that do not comply to the new laws. Many other countries such as Canada and the US are quickly following the EU to protect consumers data with tough penalties to support the laws. Mega ID allows companies collecting user data to comply with these regulations by implementing our Secure Sign On (SSO) solutions. Mega ID’s SSO is deployed in days and provides instance compliance to online businesses. Most business are not aware of the liabilities they are accumulating by holding consumers personal data. 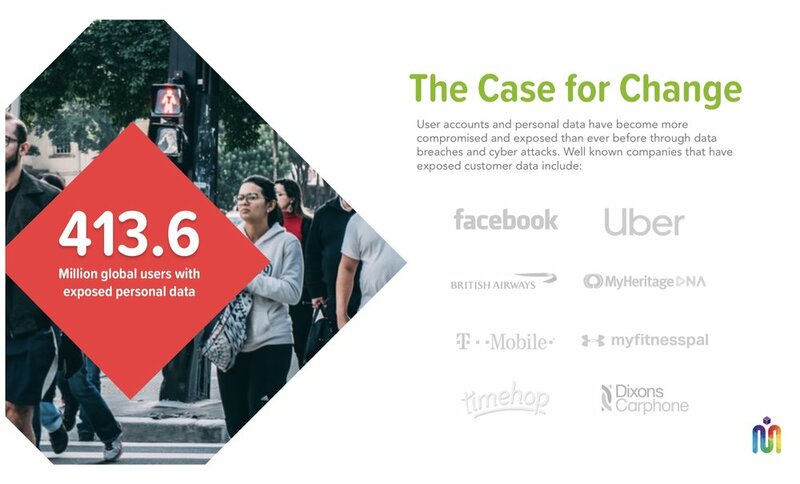 New laws mean this data must be secure, permission based and customer accessible. Rather than expensive process and organizational redesign Mega ID’s Secure Sign On (SSO) solutions provide instant compliance to businesses holding consumer data.